"WHEREAS, the indigenous Hawaiian people never directly relinquished their claims to their inherent sovereignty as a people or over their national lands to the United States, either through their monarchy or through a plebiscite or referendum;"
"I know that the two Senators from Hawaii do not agree with the radicals who wish independence as a result, but the logical consequences of this resolution would be independence. That is the only way that the clock can ever truly be turned back." 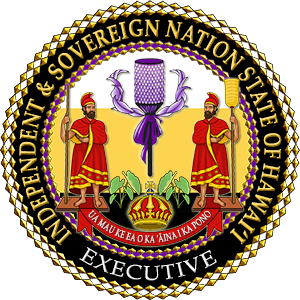 "When I read the Public Law for the first time, the first thought that occurred to me is that now, after 100 years, the United States government, has finally and officially conceded, as a matter of United States law, that Native Hawaiian people have the right to restore the independent nation state that you had in 1893 when the United States government came and destroyed it. Also as a matter of international law, the Native Hawaiian people have the right to now go out and certainly Proclaim the Restoration of that State."